The secret here is versatility. We all want to buy new clothes for our holiday wardrobe, but think about how you can double up when it comes to functionality. Using the latest Debenhams promo codes we’ve picked out 3 different items to cover both the practical aspects of your holiday as well as the fun ones. When buying those new summer dresses, look out for ones that you can wear both to the beach and out in the evening. For example, this Beach Collection Navy Bandeau Mix and Match Jersey Dress (was £24, now £12) fits the bill very nicely. The same goes for shoes – flat sandals with a chic touch could work both day and night and these Call it Spring Yellow ‘Gwayrien’ Sandals (were £25, now £17.50) are perfect. And when it comes to the perfect bikini that you can use again and again (even post-holiday), you need something with good support, but still with enough flair to get you in the holiday mood - this Gorgeous DD+ White Tropical Floral Underwired Top (was £29.50, now £14.75) and matching bottoms (were £18, now £9) are ideal, combining both comfort and holiday style. You can find all these items and more on our Debenhams voucher codes page by clicking the summer half price sale deal. There are 2 ways you can save space AND money when looking for holiday beauty products. Firstly, there’s the travel-sized versions of your everyday favourites. 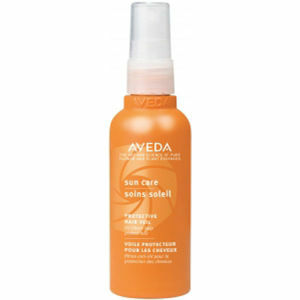 Until 21st June you can get 15% off your order with this Look Fantastic promotional code, so why not take the opportunity to save on travel sized holiday hair care like the Aveda Sun Care Protective Hair Veil 100ml (£18.27 before additional discount) or the GHD Final Fix Hairspray 75ml (£3.95 before additional discount)? Because we all know the best things come in small packages. Alternatively you can double up on not only clothes and footwear, but also hair care. Using our Look Fantastic discount voucher, save on the Grow Gorgeous 11-in-1 Cleansing Conditioner 190ml (£18 before additional discount), because there’s no need to pack 2 bottles when one will do very nicely indeed thank you very much. There’s the World’s Lightest Cabin Bag (was £69.99, now £39.99 before additional discount), the World’s Lightest Print Holdall (was £69.99, now £19.99 before additional discount) and the incredibly chic 43.5cm Canvas Holdall (was £169, now £34.99 before additional discount) – all available with an extra saving thanks to our Bags ETC discount code. You might be daunted by the prospect of travelling light this summer, but we hope our Debenhams, Look Fantastic and Bags ETC voucher codes have given you some space-saving inspiration and well as money-saving motivation.